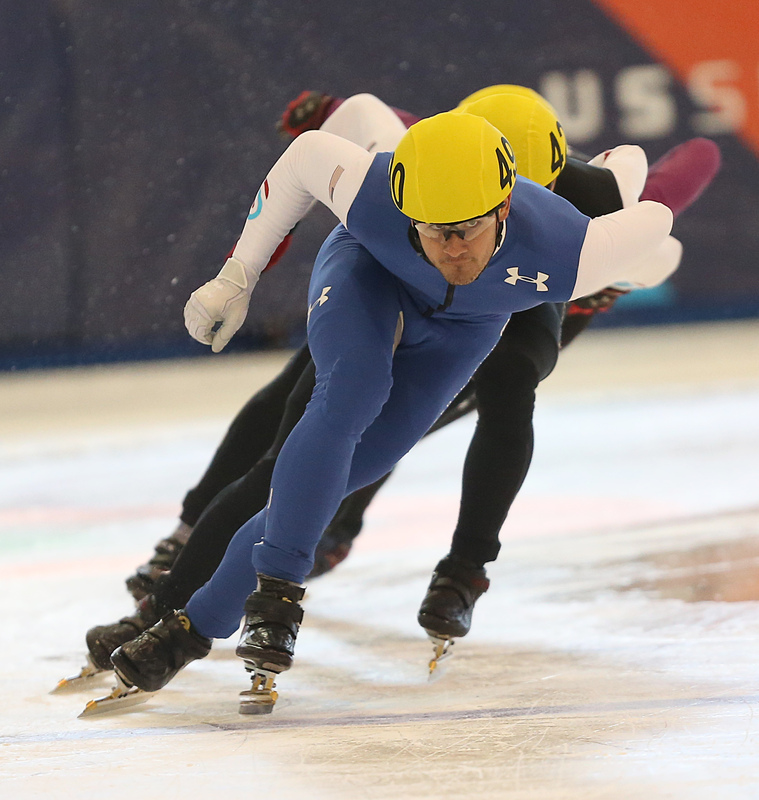 Short Track Speedskating is lovingly is dubbed the “NASCAR of Winter Sports." Though you won't find any flying tires, you will most definitely witness the need for speed. And one of the fastest on the ice is Team USA's Eddy Alvarez. He currently resides in Salt Lake City, Utah, and the talented athlete hails from the not-so-icy Miami, Fla. Though 2014 will be Alvarez’s first Olympics, it won’t be his first time skating on the international level. He’s already placed amongst the 2013 World Cup Championship, the 2013 US Speedskating Championships, and the 2009 Jr. World Team Member Gold medal 3k Relay. And in the NASCAR of Winter Sports, Alvarez will lace up with $1,000 dollar pairs of skates. The Mercedes Benz of skates! So, ya know, speedskating is no small business, and a lot is riding on Alvarez and the rest of his US Men’s Team: J.R. Celski, Chris Creveling, Kyle Carr, and 2010 Olympian Jordan Malone. It’s one of the most thrilling and challenging years for the team— it’s the first since 1998 that the US has competed without mega-Olympian Apolo Anton Ohno, who's won more medals than any other American athlete in Winter Olympics history (two Gold, two Silver, and four Bronze). OH DIP. Alvarez was one of six members on Team USA in the 2013 ISU Short Track World Cup. The team took home the Gold in the 5,000-meter relay, a first for the US in the history of this championship. Alvarez used to be an avid (and adorable) rollerblader in South Beach, Miami. He decided to switch over to speedskating when he was just nine years old. Alvarez says his favorite Olympic Gold moment was when fellow speedskater Ohno won his first Gold. AWWWW.